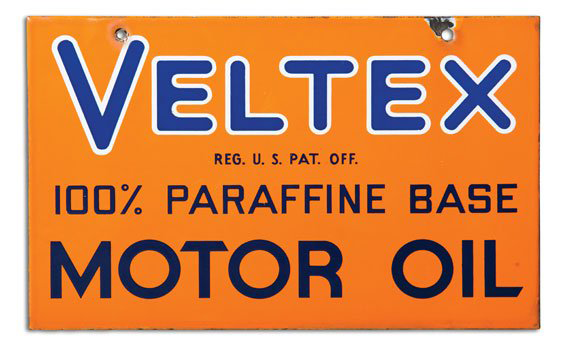 This is a rectangular Veltex Motor Oil porcelain sign. This particular Veltex Motor Oil sign is orange with blue text. It reads, “Veltex 100% Paraffine Base Motor Oil”.